Why See Tiny Meat Gang Podcast? 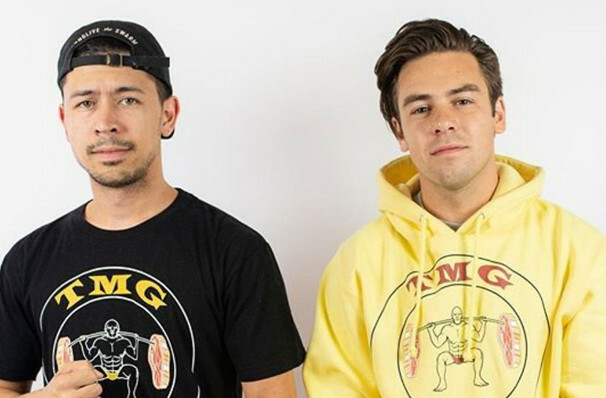 They may be small in physical stature, but former software developers Cody Ko and Noel Miller more than make up for it with gigantic personalities and even bigger laughs. Leaving their former career paths in the dust, Ko and Miller joined forces and created The Tiny Meat Gang Podcast to embrace what they already knew - they are without a doubt two of the funniest and most honest people on the internet, and their rising fan base can't get enough. Perfect for a road trip or traffic jams, the rant-based comedy podcast covers topics from Star Wars to Bitcoin, and has even featured a special guest in the form of Post Malone. Catch the dastardly duo as they get mad about the little things on their first ever live tour this winter! 27-year old Canadian Ko first rose to prominence thanks to the six second comedy platform Vine, before branching out to Youtube and beyond. He currently releases two podcasts, Insanely Chill and TMGP with his close friend and constant collaborator Miller, whose made a name for himself as a content producer and comedian. Together they've talked about hipsters, free styling, paddle boarding and that time Miller punched a nun... Get ready to roll in the aisles, because these two millennial moguls are pulling out fresh stories and anecdotes, all laced with the trademark vitriol that makes them so lovable. Seen Tiny Meat Gang Podcast? Loved it? Hated it? Sound good to you? Share this page on social media and let your friends know about Tiny Meat Gang Podcast at Pabst Theater. Please note: The term Pabst Theater and/or Tiny Meat Gang Podcast as well as all associated graphics, logos, and/or other trademarks, tradenames or copyrights are the property of the Pabst Theater and/or Tiny Meat Gang Podcast and are used herein for factual descriptive purposes only. We are in no way associated with or authorized by the Pabst Theater and/or Tiny Meat Gang Podcast and neither that entity nor any of its affiliates have licensed or endorsed us to sell tickets, goods and or services in conjunction with their events.